Kids will love bouncing and playing in their own private, secure arenas. Coordinators will have a bouncing good time too and love the ease of hosting a field trip at Pump It Up. Your group will have a completely private field trip, so the kids are safe and secure; you may also order lunch for all attendees, making it completely hassle-free!!! All Field Trips require a $100 dollar deposit that is non refundable!! 1. SELECT a date, time and duration for your private event. 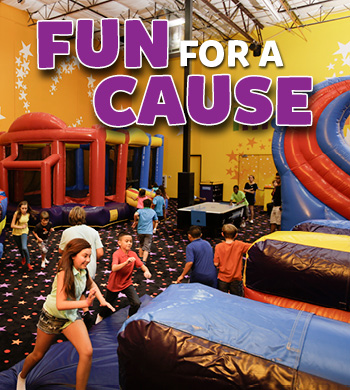 Our Pump It Up facility is available Monday through Thursday to support fundraisers. 2. DETERMINE the per person price for your fundraiser. Consider your fundraising goals when setting the price. Pump It Up will charge your organization 50% of profits. For example, if your cost is $16 per person (Min. 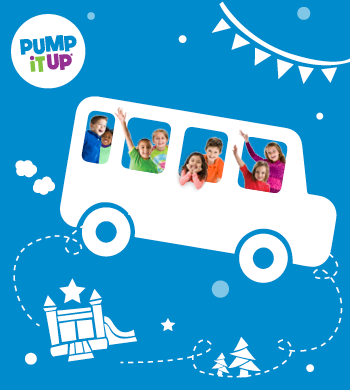 of $8.00), Pump It Up will receive 50% percent and your organization will receive 50% percent of profits. 3. ADVERTISE your event so that it is well attended. Everyone that enters our inflatable arena must complete a waiver and wear socks- no exceptions.